I have 2 skyfire fleets, 1 for map targets and 1 for expedition. They have different armor and specials. I can't figure out what specials I have because the GIANT STATS BOX THAT DOESN'T NEED TO BE THERE blocks my ability to see the specials/ armor. This is full screen so shut up. This has been an issue for years and continues to be ignored. 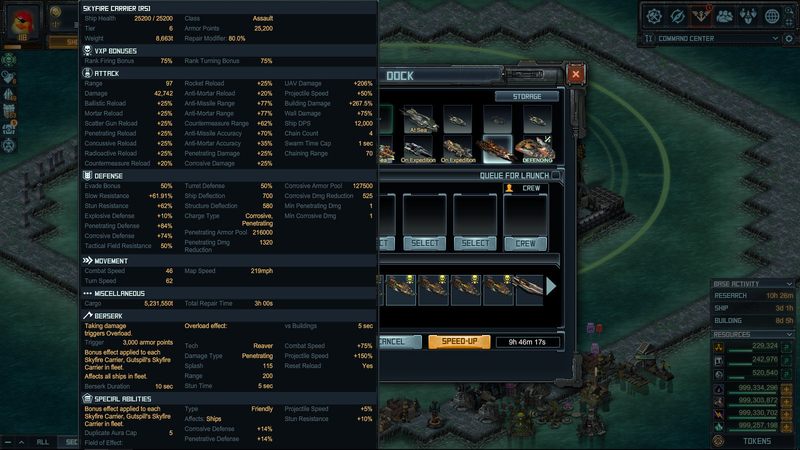 you know you can just put the ship in the fleet slot, then click on the ship to see its build, right? you can also tell what specials a ship has by looking at its resistances, combat speed, turn speed and damage boost stats, but that will require a little more brainpower and effort. You could always edit the name of the fleet slot so it says expedition instead of fleet 5.